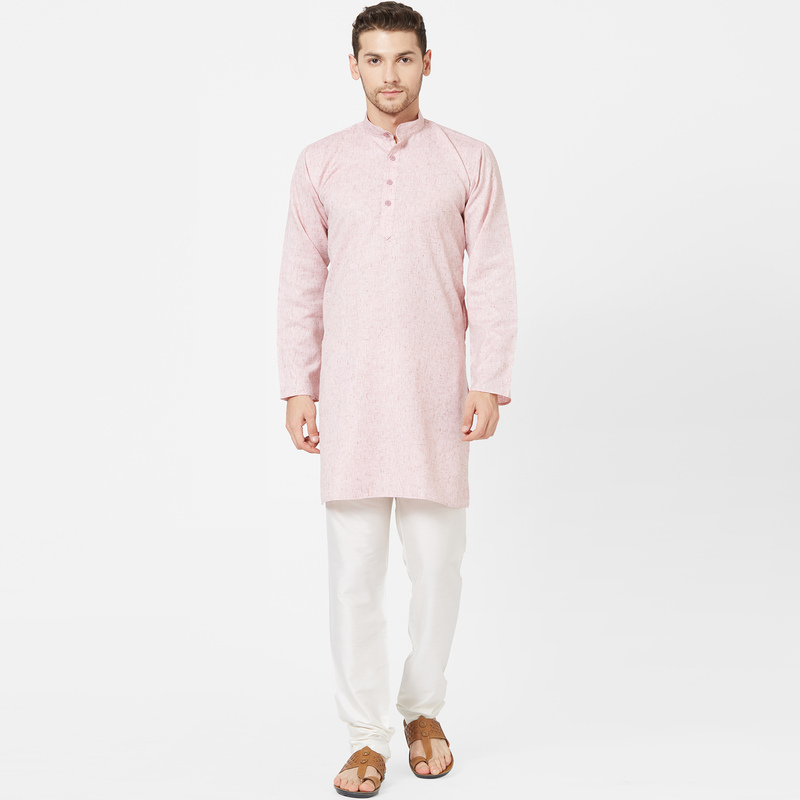 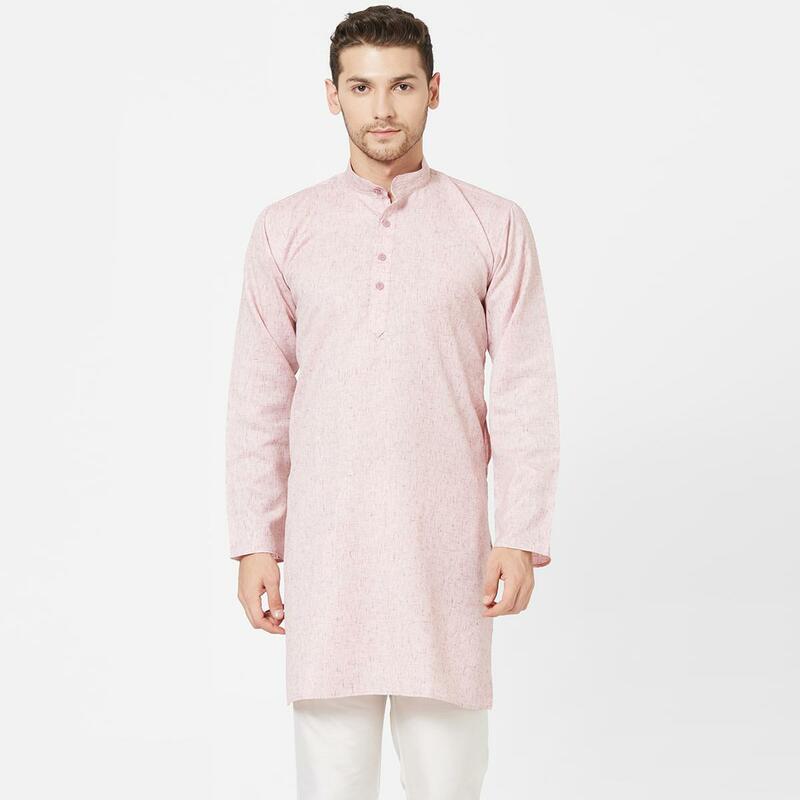 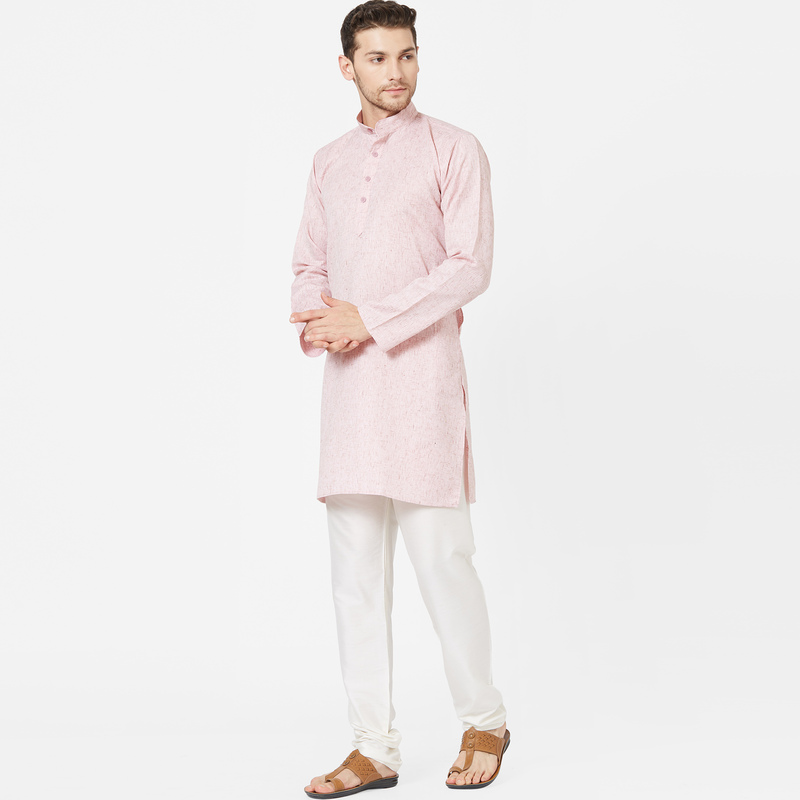 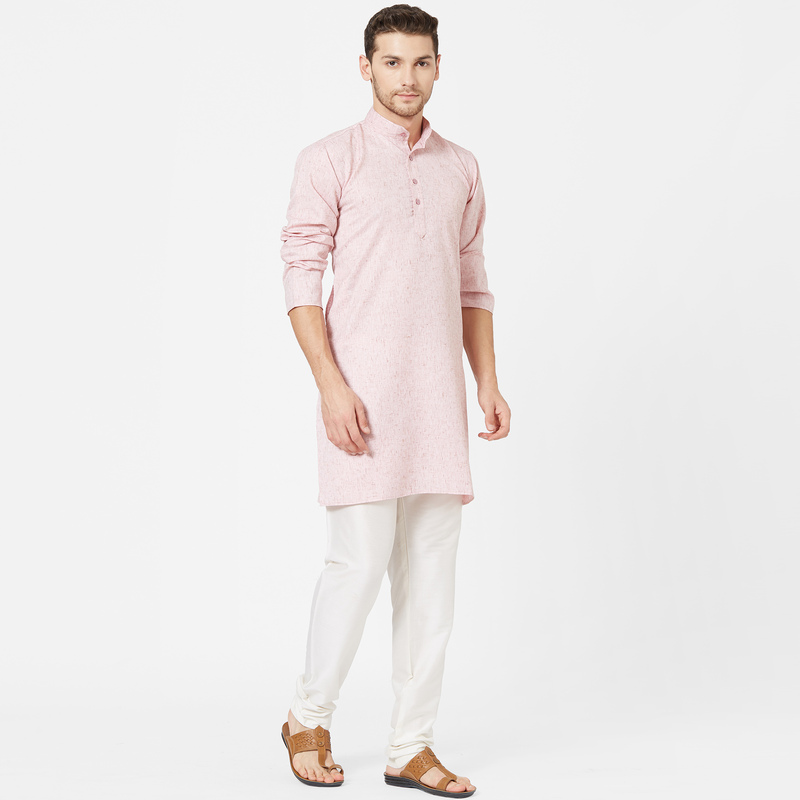 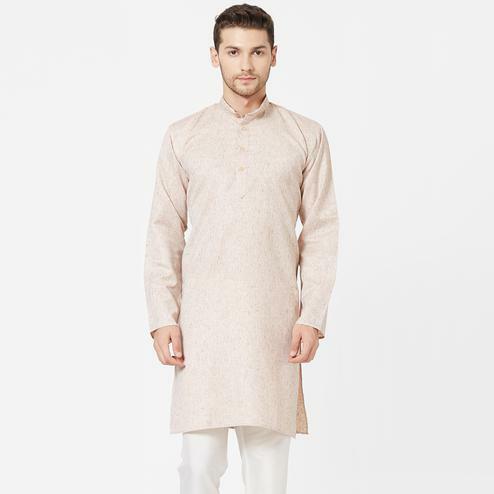 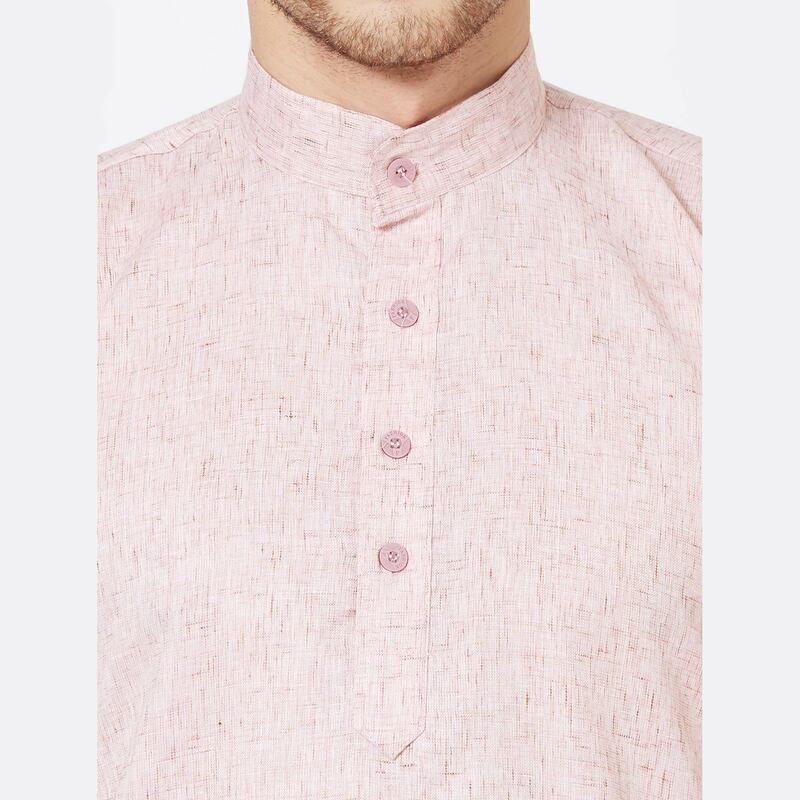 Impress everyone with your amazing fashion sense by donning this beautiful pink coloured kurta. 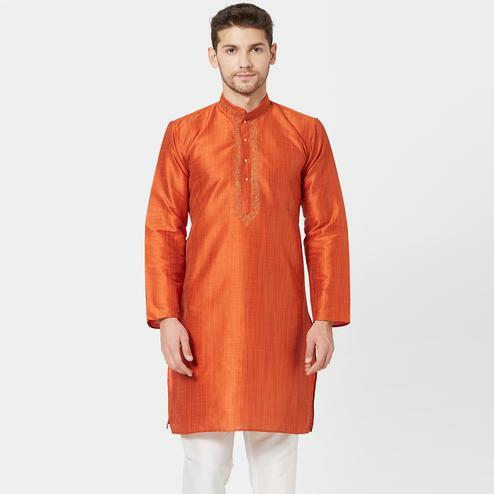 Made of cotton fabric, it would lend you a glamorous look that is just perfect for any occasion. 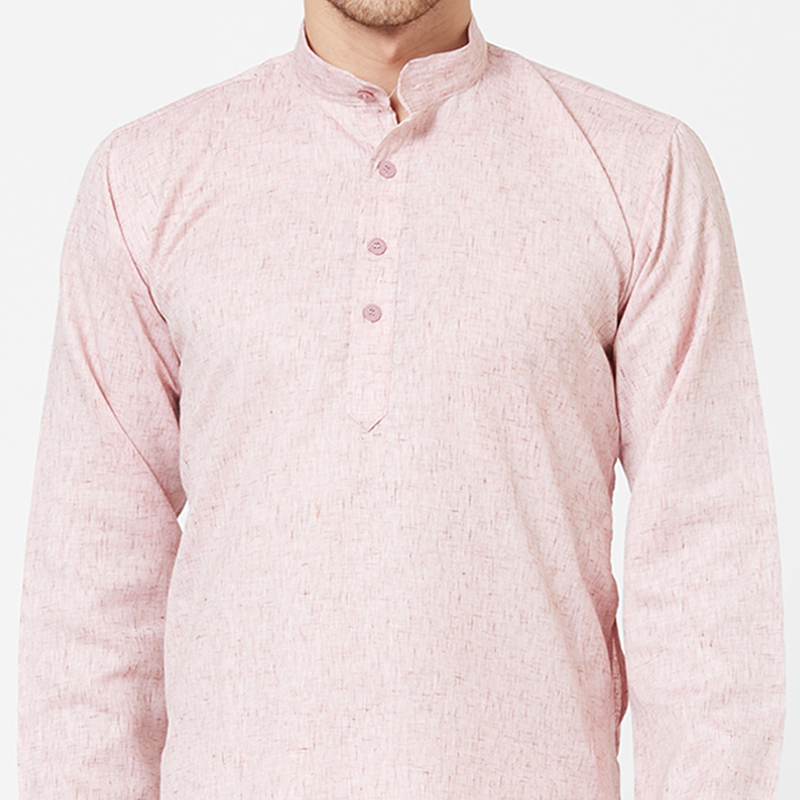 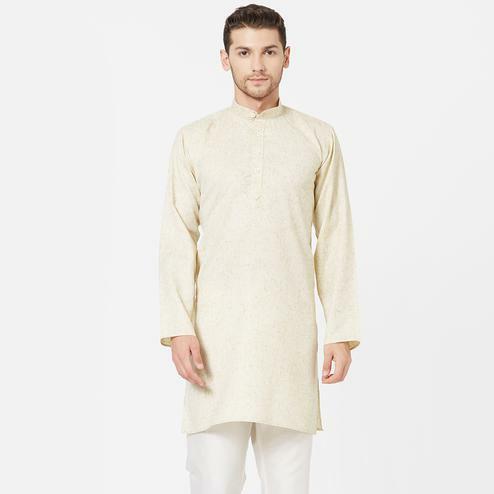 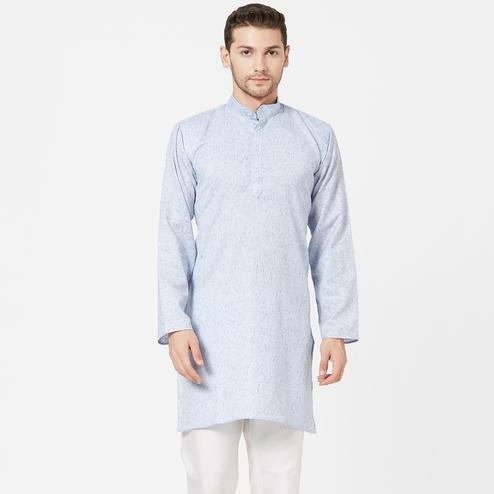 Designed with absolute perfection, this cotton kurta is soft against the skin and will keep you at ease. 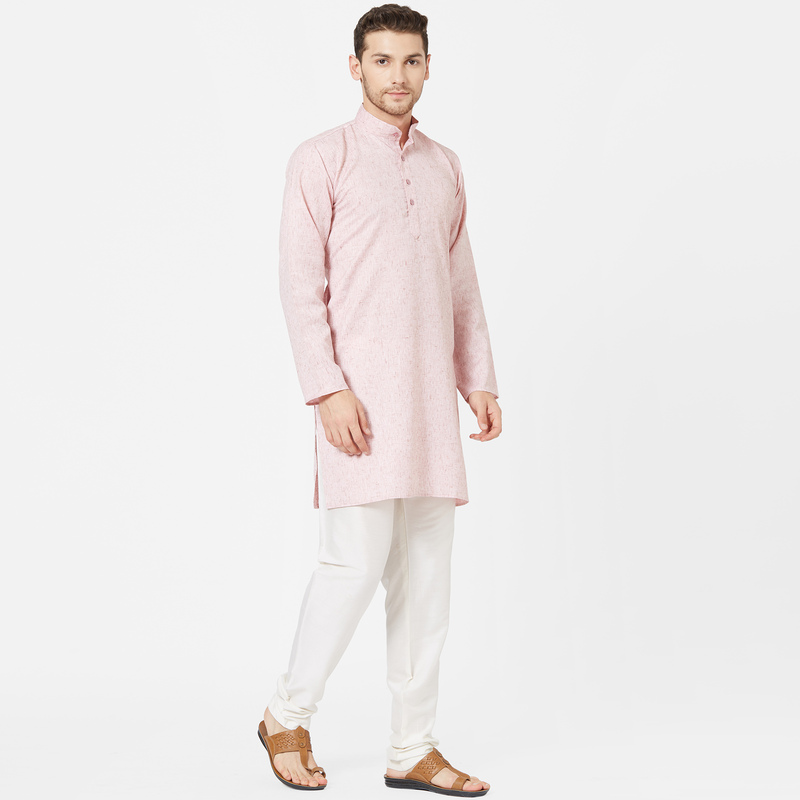 Cut a fine figure as you adorn this kurta with a pyjama in lighter or brighter hues to create a contrasting effect and a pair of traditional mojaris or kolhapuris. 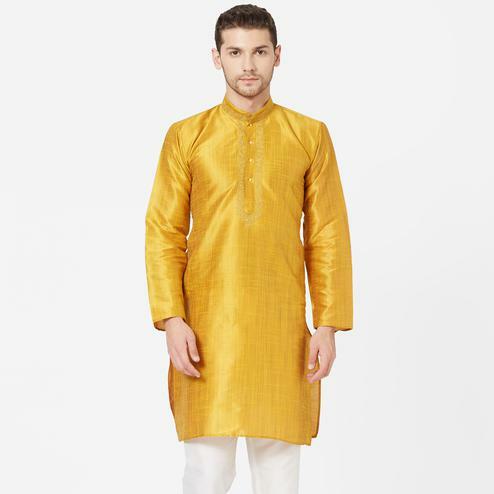 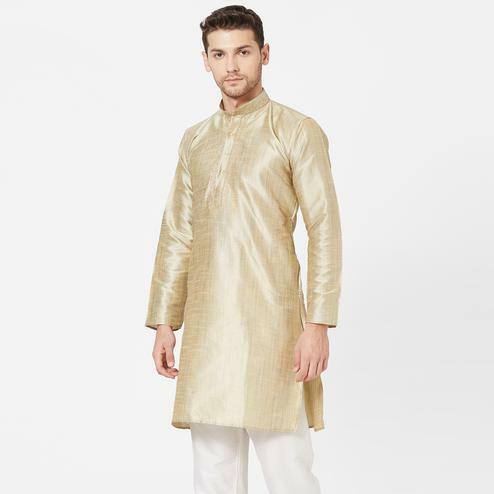 Dress to kill as you adorn this kurta on the next gala. 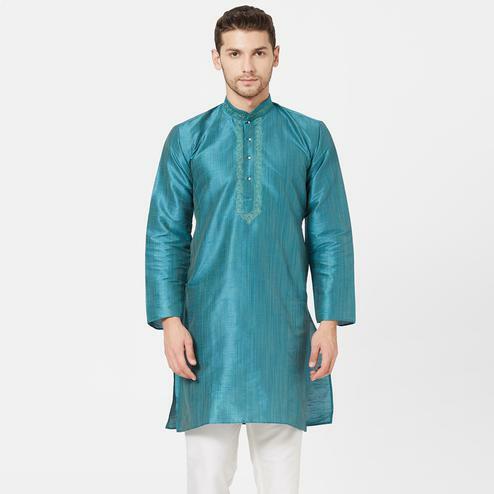 Please note : The model height is 6.2" & is wearing M size kurta. 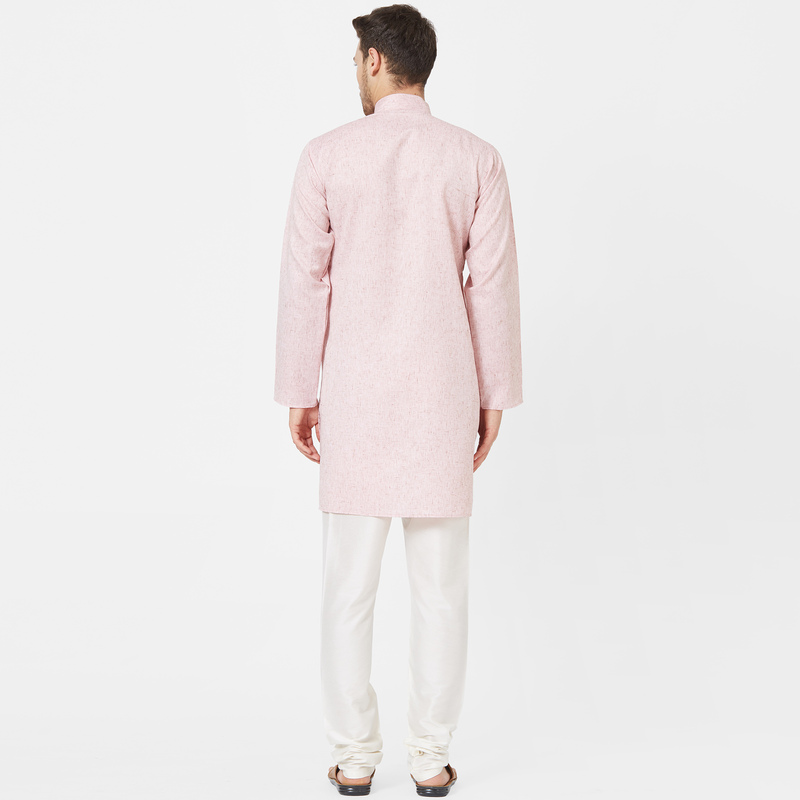 Length 38 to 46 inches.